4 cube Relays driven by MOSFET's to control 110V to 230V AC appliances. 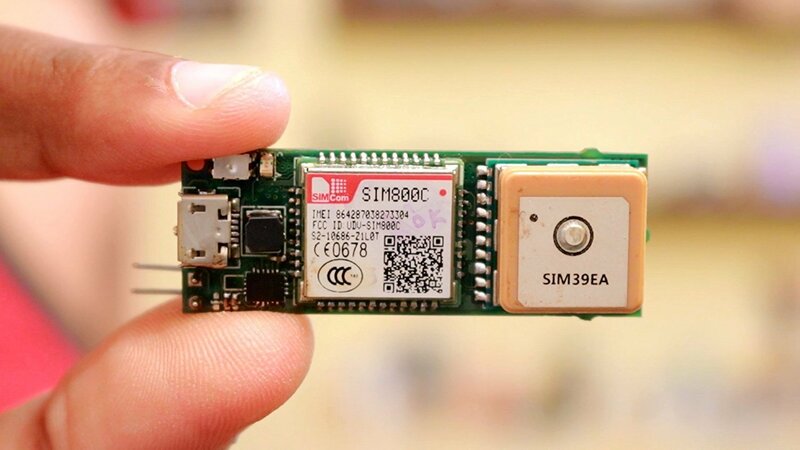 SIM800C 2G Quad Band GSM module for cloud/call connectivity with micro SIM card connector. External Whip Antenna with right angle SMA connector. MP3 player with micro SD card connector for saving audio responses. 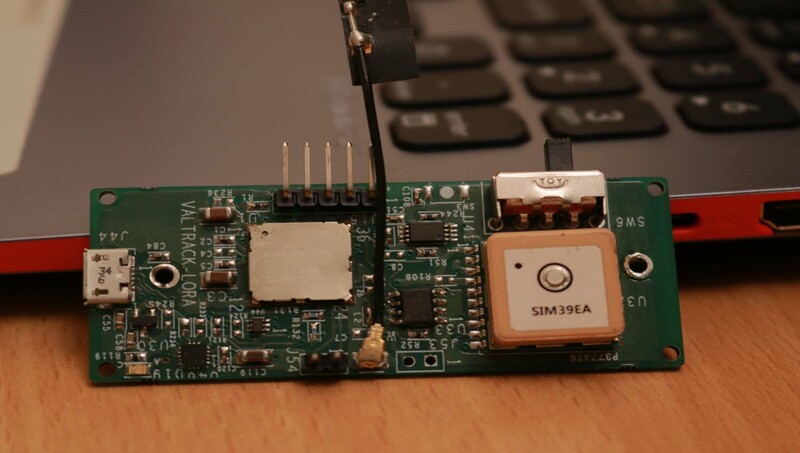 STM32 Cortex M0 Low power MCU with RTC. Switching power supply to take inputs from 5V to 24V DC DC power jack for power input. SWD connector for programming and debugging. 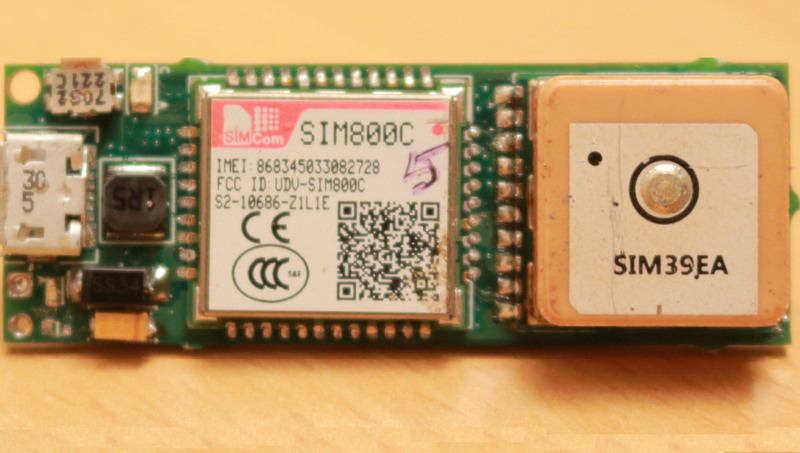 Insert the SIM card and SD card containing MP3 files into the device. 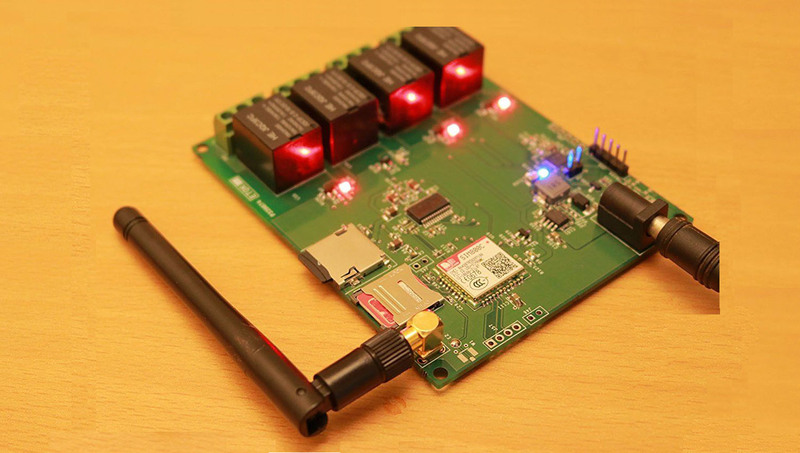 Power on the device using a DC adapter Network LED blinking every 3 seconds will indicate that the device has connected to the network. Wait for 30 seconds for initialization and ring the SIM card number. An audio will be played on the call and you should hear, "Welcome to Valetron Systems, Press 1 to control Device number 1, Press 2 to control Device number 2 , Press 3 to control Device number 3,Press 4 to control Device number 4". You press 1 on the dial pad of your phone and you should hear, "You have selected Device number 1, Press 1 to turn ON device number 1, Press 2 to turn OFF device number 1". You press 1 on the dial pad of your phone and you should hear, "Device number 1 turned ON, Press 2 to turn off device number 1, Press # to return to main menu". At the same time, Relay 1 will be turned on and LED 1 will be turned on indicating that Relay 1 is in ON state now. You press # and you will go back to hearing the Welcome message.